This week’s episode was announced as dealing with the fallout of the recent events from the latest Marvel Studios movie, Thor: The Dark World, which is the second movie dealing with Thor as a primary character (third overall, counting Avengers). This was a big reason for why I was looking forward to the episode so much, particularly after seeing the movie, which I really enjoyed. Thus far the show has dealt with the MCU only tangentially other than the core concept of the show itself, and regular cast member Clark Gregg as Agent Coulson, and the occasional guest appearances by characters like Agent Sitwell who’ve been in the movies. The reality did not match the news as it turns out since the episode ties into the movie for only the first five minutes at most and after that its the usual mission of the week, bad guy of the week story. First off, I’ll say that I thought this was a decent episode. It wasn’t as questionable as last week’s contribution, which was mediocre at best. This one actually had some interesting character drama that focused on Ward and did a lot to develop him. He has received very uneven development to date and its nice to see some of his past, the point in his life that came to define the present-him. I find that all of a sudden, he became a character that I was really interested in. And it also fleshes him out as more than a character who becomes an odd piece in the machinery where Ming-Na Wen’s character Agent May can do everything he does, but better. Nice change of pace all around. Despite the fact that the promotions were deceptive in the episode’s tie-in to Thor: The Dark World, I kind of really enjoyed the mystery this time around. It appears that in ages past, an Asgardian arrived on Earth with the Berserker Staff and he led many wars or some such. Eventually he tired of it all and to prevent humans from ever regaining the staff, he broke it into three pieces and hid them all over the world. When the episode starts we see that a man and woman, who later turn out to belong to a group that hates the Norse gods, enter into a Norwegian forest and thanks to a process that is intentionally vague locate the one tree where one piece of that staff is kept. Needless to say that they find this piece and it grants them berserker abilities. The rest, as they say, is history. They go on a rampage with their group and Coulson’s team turns to a professor of Norse mythology in Seville, Spain who previously helped Coulson with deciphering the text on Mjolnir in the first Thor movie (this is the first reference to this character). What follows is some interesting stuff, including Ward himself becoming a berserker for a while when he unknowingly holds a piece of the staff later on. There was a really interesting twist in the story that ties into the larger Marvel universe, with respect to Asgard and the Nine Realms. It was a rather neat of acknowledging that there is the fantastical to the entire setting since Asgard is steeped in magic, or science that seems like magic. In fact, Simmons comments on that very fact, her version of the popular saying from a noted SF author Arthur C. Clarke: “magic is just science we don’t understand that”. Her version involves saying “regressing back to the Dark Ages”, but the intent is clear. This works well to reinforce her scientific background and nature, while also giving the viewer the feeling that there is some healthy skepticism in the team with regards such things, despite all the sights and sounds they’ve experienced together. In the climax, we get some more Agent May action this time around. With her decision a couple episodes back that she would prefer to be actively involved in all field ops instead of staying behind to mind the Bus and whoever else is on it, this is another example of a reinforcement of a character’s nature and decisions. Where Ward is sort of a brawler, May is more one for finesse. We’ve seen it before, and we see it again here too. She is a character that I really enjoy on the show and lately she too has been coming out of her shell and her relationship to the others has been steadily improving. Not much for the FitzSimmons duo to do this time, or Skye for that matter, which is just as well in the case of the latter. She is the blandest character on the show and the less we see of her the better, unless it is something that exposes more of who she is, what she is, and where she is meant to do. That’s an area where she desperately needs more development. Right now, all she is is a hacker who snarks all the time. Her more emotional moments always fall flat, except for a few rare scenes here and there. The episode ends with a dream that Agent Coulson has about his time in Tahiti. Till now, its been built up that his recuperation in Tahiti, which is “a magical place”, is anything of the sort. He believes that, its what he was told, its what he is meant to believe, but he’s been questioning that. And we have been given hints in almost every episode that Tahiti may not be all that its cracked up to be. That something really sinister may have happened in fact. I liked this week’s installment of the puzzle. The writers are keeping me busy with trying to figure out what happened to him, and its definitely one of the better mysteries on the show, if slightly over-emphasised. Overall, the episode had some good pacing, and things kick into overdrive around the halfway mark once Ward is exposed to the staff’s effects, so that was a positive note. With the acting, nothing really stood out. It was more of the same and I’ll say that the actors are all consistent. Brett Dalton as Agent Ward had some really good material this time and he performs it all admirably. He got me to really believe in his performance. Good material can really do wonders for an actor’s performance. As it stands now, I’m definitely around for next week’s episode. More Agents of SHIELD reviews can be found here. I’ve reviewed every episode so far. 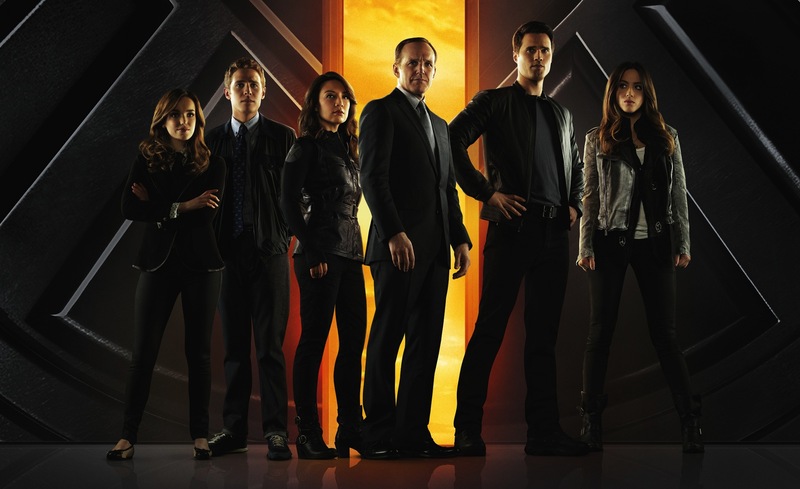 Posted on November 21, 2013, in Agents of S.H.I.E.L.D, Review Central, TV Show Reviews and tagged Agent Grant Ward, Agent Jemma Simmons, Agent Leo Fitz, Agent Melinda May, Agent Phil Coulson, Agents of S.H.I.E.L.D, Alien Technology, Clark Gregg, Espionage, Gods, Joss Whedon, Marvel, Marvel Comics, Marvel Studios, Movie Tie-In, Norse Gods, Norse Mythology, Review, Review Central, S.H.I.E.L.D, Skye, Spy, The Avengers, Thor, Thor: The Dark World, TV Show, TV Show Reviews. Bookmark the permalink. 1 Comment.